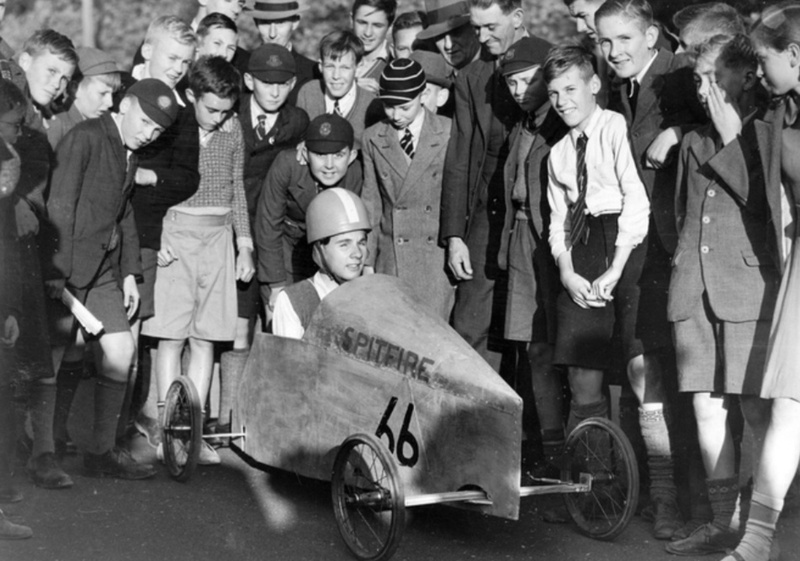 We all start to race somewhere, I ‘progressed’ from billycarts! 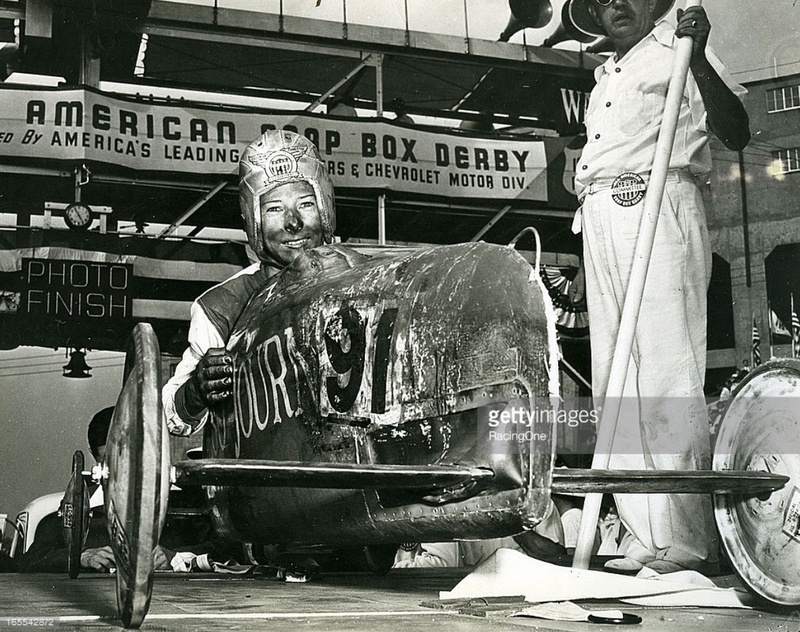 I wonder if this dude took steps beyond the Unley Soap Box Derby to bigger and better automotive things in the years to come? Love the schoolkids formal cold weather attire- caps, cloaks, coats and ties very much to the fore. The run down Cross Road, from ‘the old gum tree’ to Fullarton Road attracted a crowd of 15,000! people to watch 100 competitors achieve speeds of up to 70 km/h. The crowd is indicative, I guess, of just how starved people were of any form of entertainment during the long, bleak, difficult war years. This shot gave me a chuckle, reminding me of my own ‘billy-cart’ days. 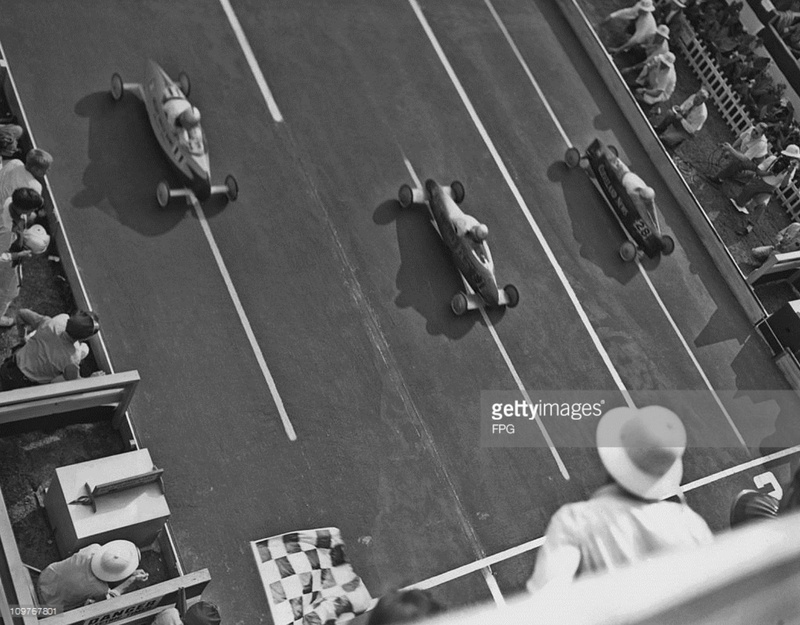 The tight ’46 finish is shown below, the wonderful tradition of these events continues to this day.